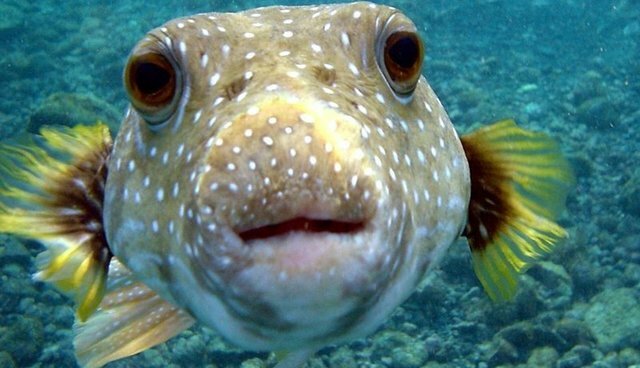 Fish are all around us -- they are the most common pet in the world, and are also now more widely eaten than beef. But for years, people -- some of them well-respected scientists -- have argued that fish don't feel pain the way we do (or at all), because they lack the physical structures to do so. A new study has chucked that theory out the window, finding evidence that not only do fish feel pain the same way mammals do, but they are also capable of relatively complex social interactions. A review of the evidence for pain perception strongly suggests that fish experience pain in a manner similar to the rest of the vertebrates. Brown notes that fish respond to pain in the way that most vertebrates do. Indeed if one examines the pain receptors in fish you would find remarkable resemblance to those in humans. The pain receptors in all vertebrates are conserved and derived from an early fishlike ancestor. The review also cites studies that have found that fish have complex (and sometimes surprising) cognitive skills: from long-term memories to intricate traditions, to cooperation with others and even tool use. Fish can recognize other individuals of the same species over and over again, and some researchers even argue that they can recognize themselves. In an interview published on The Dodo, Brown said that his intent is to change the way people think about fish. My mission in life is to make people think about fish as something other than food. This perception is slowly changing (think Dory from Finding Nemo). It's a big task though. Most folk have no clue about what goes on in their rivers and oceans. Out of sight out of mind. That includes the critters that live in them. Hopefully my work with open people's eyes and help them see fish in the same way that I do.